this dress has so many options and variations, you'll never need another dress pattern! Basic sewing skills are all you need to create a professional-looking dress or top. This pattern comes with an abundance of options; you can create a different item every time! With the wide sizing range of 12m – 14y you will get a lot of use out of this beauty! The Simple Summer Dress, Party Dress and Tunic/Top can be made with a bias tape hem instead of a folded hem. 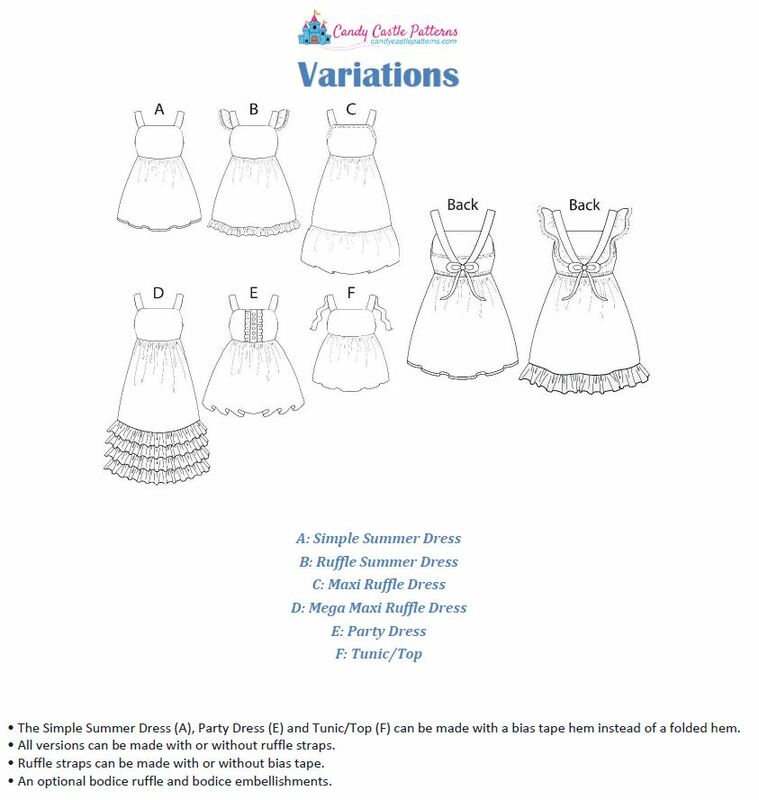 All versions can be made with or without ruffle straps. 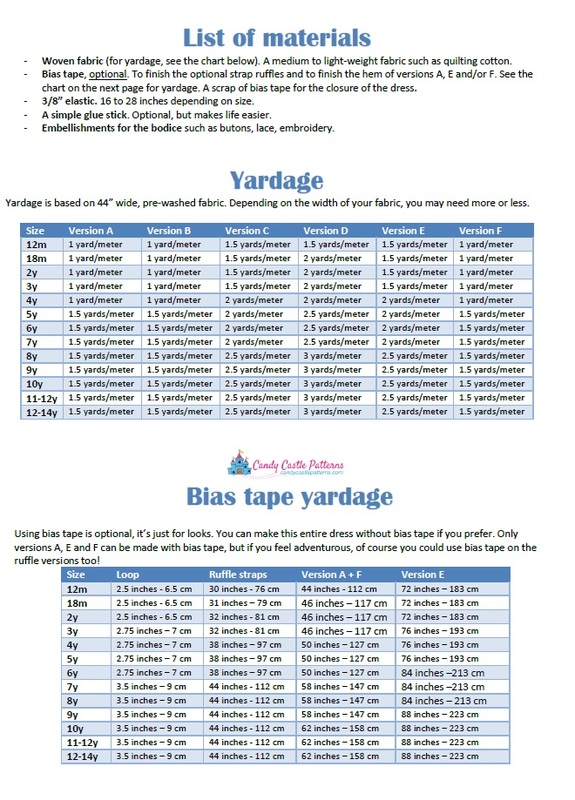 Ruffle straps can be made with or without bias tape. An elastic back gives a great fit. A bow on the back makes this dress stand out. Hidden bodice seams on the inside make for a professional finish. No exposed seams, yay! This pattern is suitable for both beginner as well as experienced seamstresses. You can add or leave out so many options, that it’s easy to pick those you are comfortable sewing with. The step-by-step instructions aimed at beginner seamstresses make this a perfect project even when you have just started sewing.